Manchester United legend Bryan Robson believes as many as five of the club’s players should be hitting double figures for goals this season. 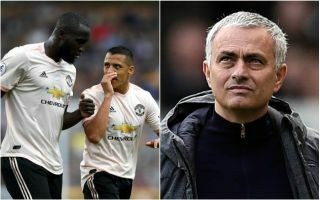 In an interview with the Daily Mirror, the former Red Devils captain said he wanted to see Alexis Sanchez, Jesse Lingard, Marcus Rashford and Anthony Martial chip in with double figures alongside Romelu Lukaku, last season’s top scorer for the club with 27 goals in all competitions. Robson says Lukaku cannot do it all on his own, and wants to see an improvement from Sanchez in particular after his disappointing start to life at Old Trafford. The Chile international joined from Arsenal back in January in one of the most high-profile transfer deals of recent times in the Premier League. However, Sanchez has not looked his usual self in a United shirt, scoring just three times in 21 games for Jose Mourinho’s side. Lingard, Martial and Rashford did all manage double figures last season, but United were still some way off Manchester City in terms of points and goals in the title race, so an improvement is certainly needed. ‘Sanchez is a top-class player. But we haven’t seen the best of him at Manchester United so far,’ Robson told the Mirror. ‘It’s also a matter of Sanchez, Lingard, Martial and Rashford getting into double figures this season, if we’re really going to challenge for the title. ‘Lingard did well in terms of goals last season, getting into double figures, and it can’t all fall on Lukaku.